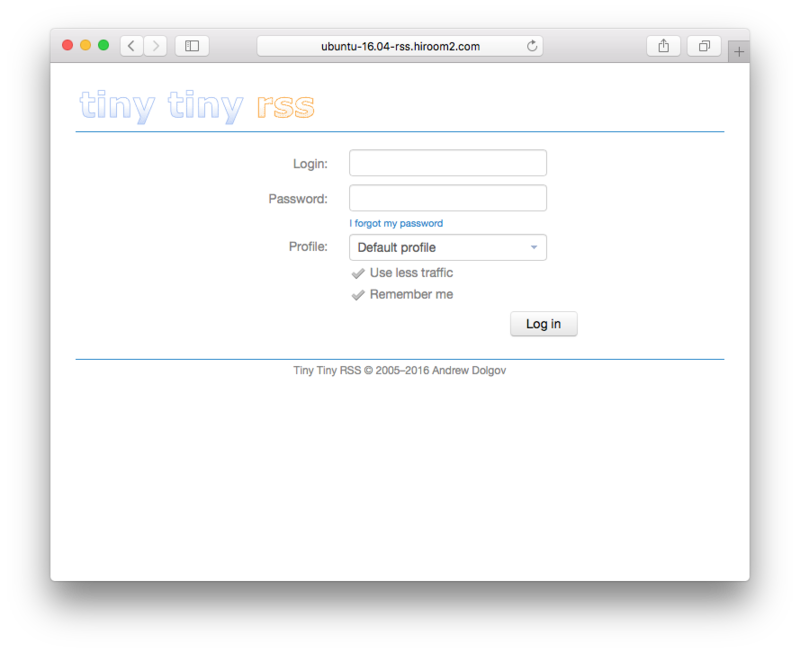 This article will describe installing Tiny Tiny RSS which is a RSS reader running on server. Install mysql-server which creates tt-rss database. Install php-mbstring which is used by tt-rss. 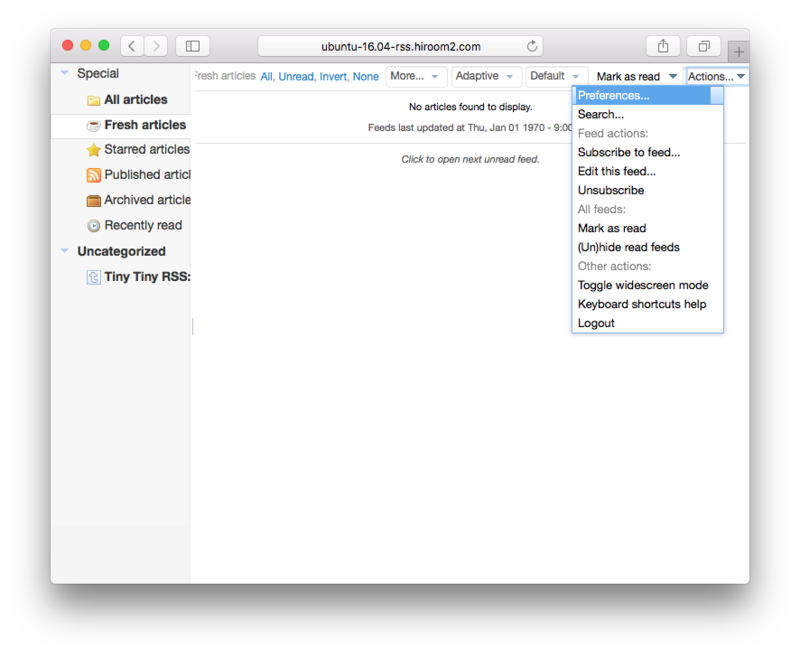 Install tt-rss which is Tiny Tiny RSS. Input tt-rss database password. This is different from MySQL password. Select httpd running tt-rss. This article will select apache2. Select apache2 with space key and press Enter key. Input tt-rss URL. IP address can be used instead of server name. Accessing URL displays the following page. 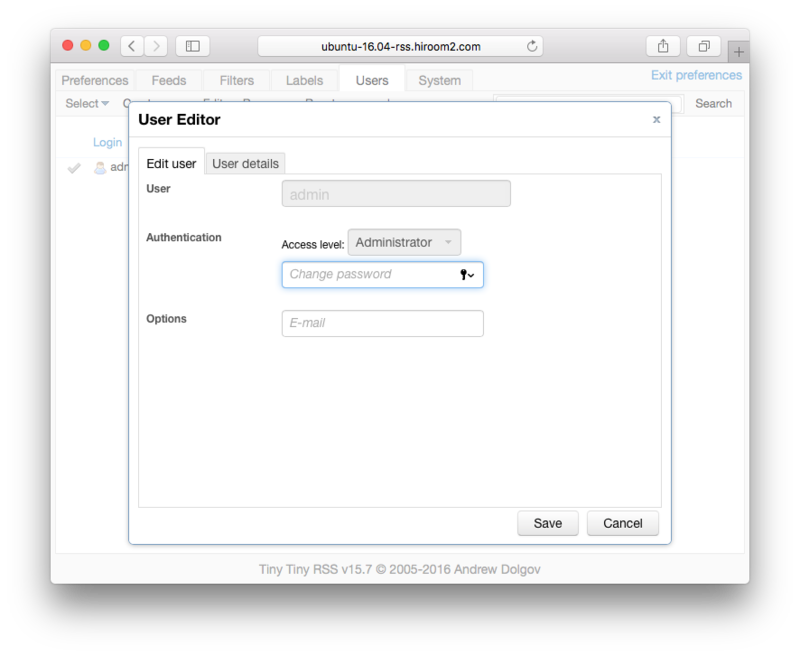 Change admin user default password. 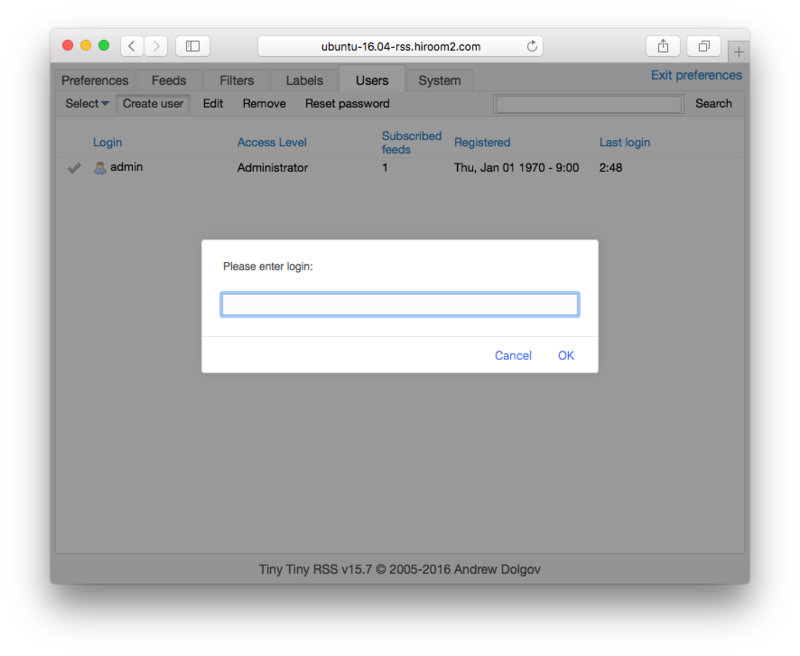 Login to tt-rss with setting "Login:" to admin and "Password:" to password. Click "Preferences" at upper right Actions. Click admin user at Users tab. 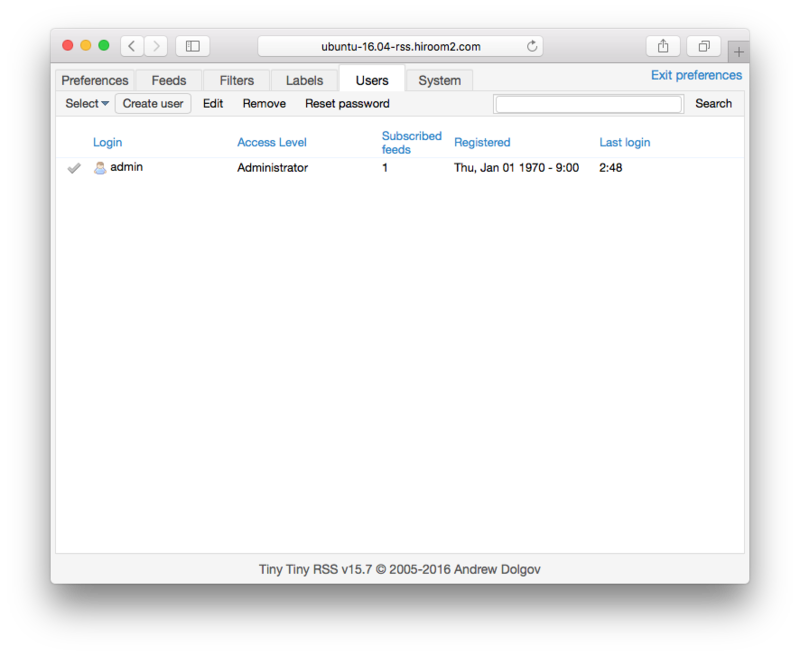 Input admin user password and click Save. Click "Create user" user at Users tab of "Preferences". New user is added. Please set user pass password. 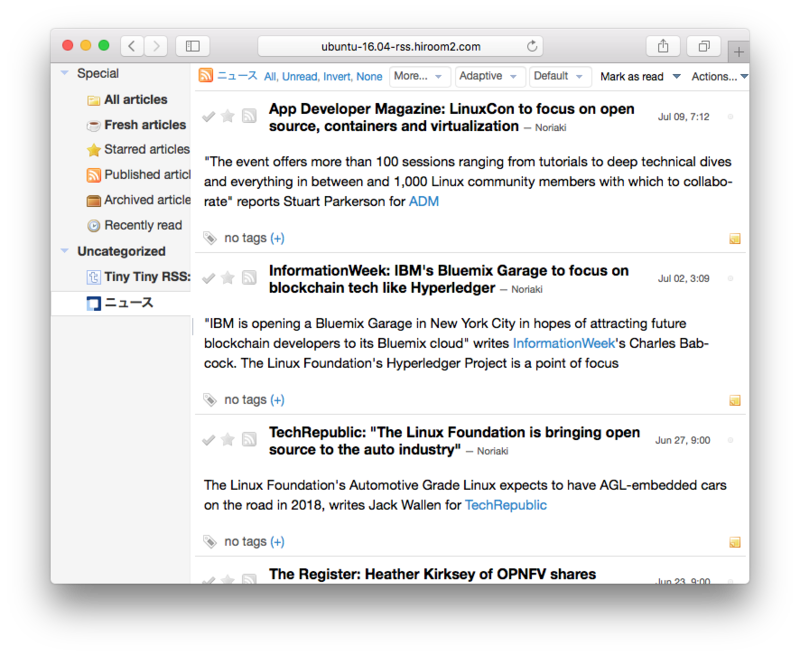 This article will use news from Linux Foundation. 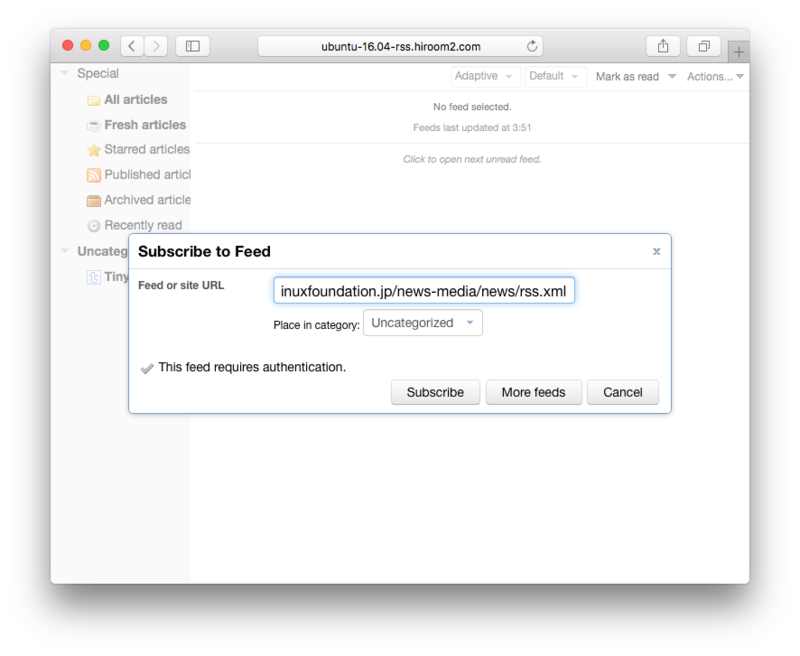 Click "Subscribe to feed" at upper right Actions. Input RSS URL. After 1 minite, articles are added.